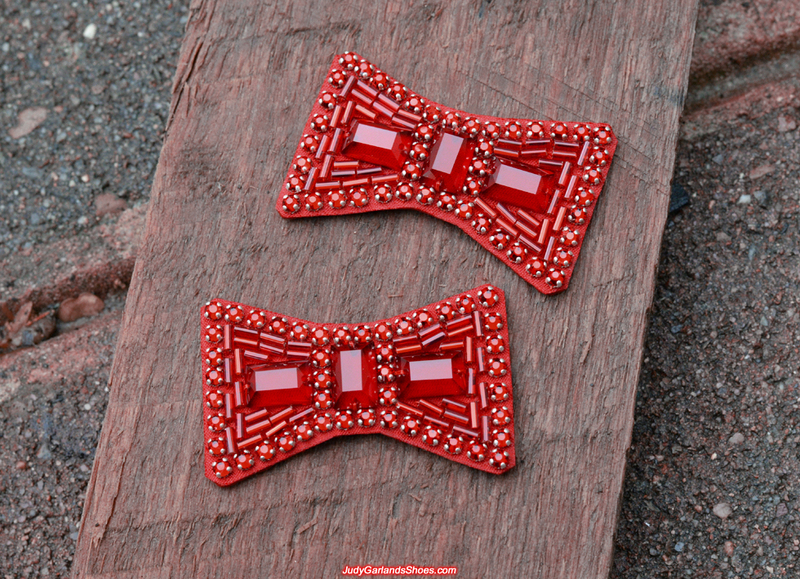 This is a pair of hand-sewn bows on red silk fabric and thin leather overlay that we will be using for the pair of ruby slippers in November, 2017. You can see how beautifully crafted they really are. 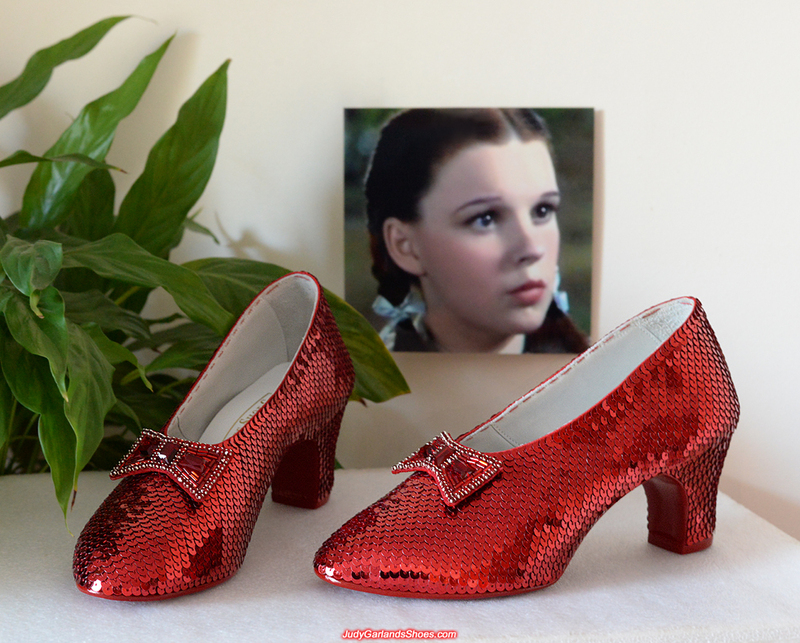 The shape and size matches the bows on the original ruby slippers, and one of the key features of our bows is that they contain the high quality glass rectangular stones that is handmade to match the original stones. Not only is the face of the rectangular stone cut perfectly, but the sides are cut into the "V" shape which is found on the original stones, so the perfection of our stone covers every area. We also nearly forgot to mention that the glass rhinestones are held together by silver antique style claw settings, also known as prongs. 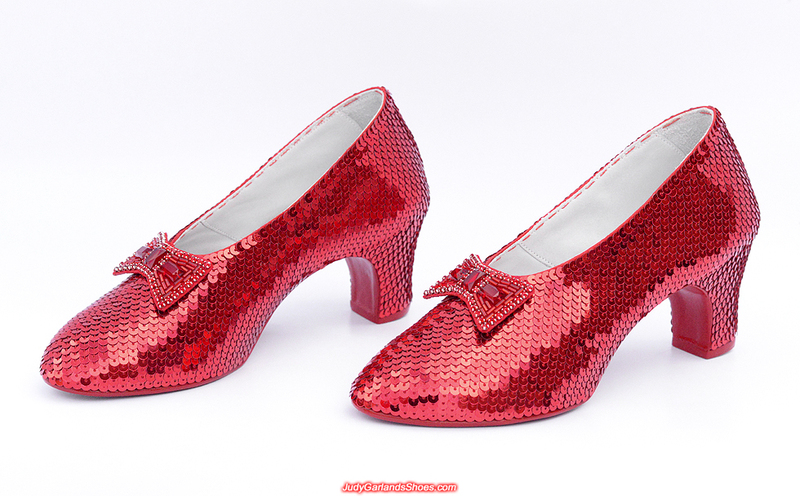 These prongs exactly match the prongs on the original ruby slippers which is different to modern day prongs that are made just rounded or pointy. 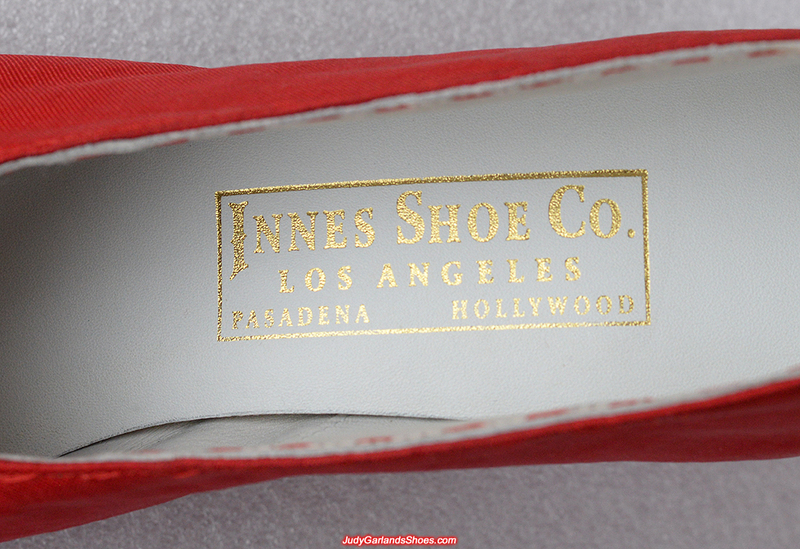 Even small details like this matters to us! We have a lot of skill and experience to craft high quality hand-sewn ruby slipper bows to make our ruby slippers look very authentic and beautiful. 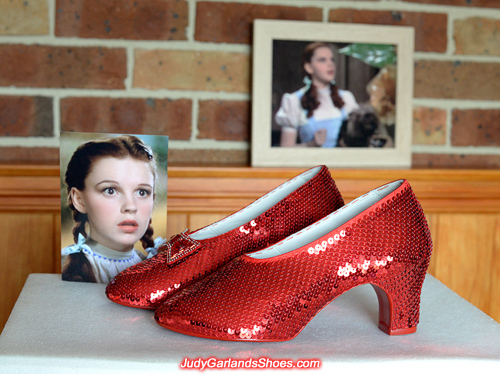 This is the size 5B wearable base shoes that we will be using to craft a pair of ruby slippers in November, 2017. 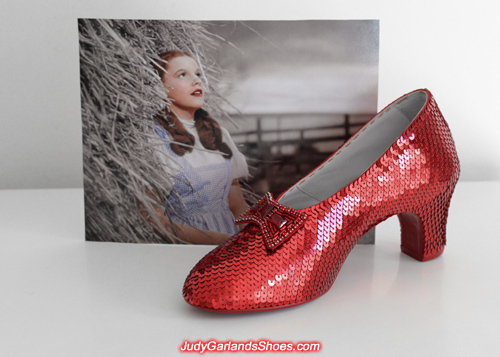 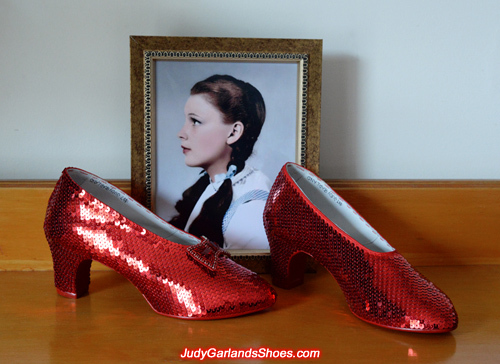 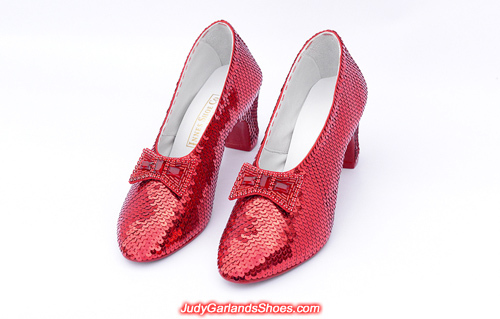 The shape of our shoes is 100% identical to the ruby slippers Judy Garland as Dorothy wore in Munchkinland with longer heels and pointy toes than other known screen-used pairs. 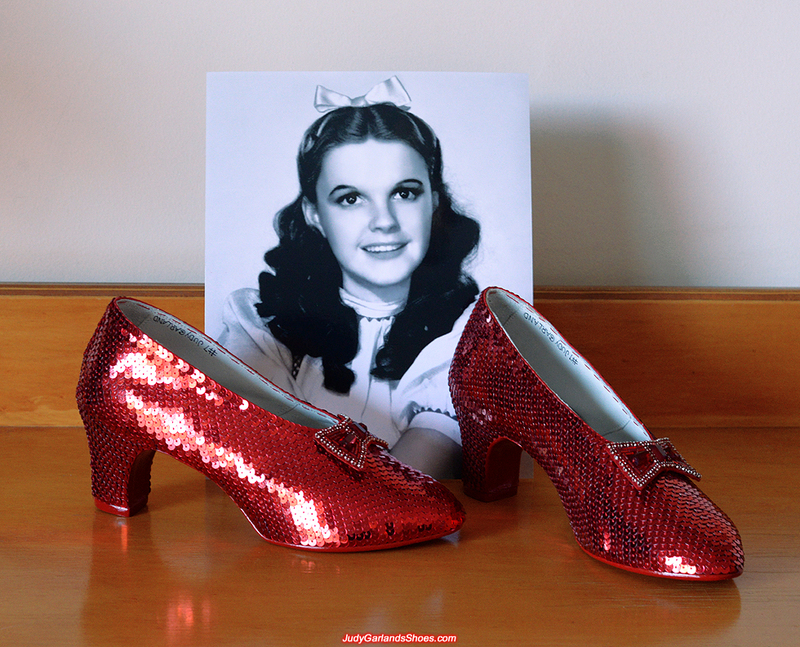 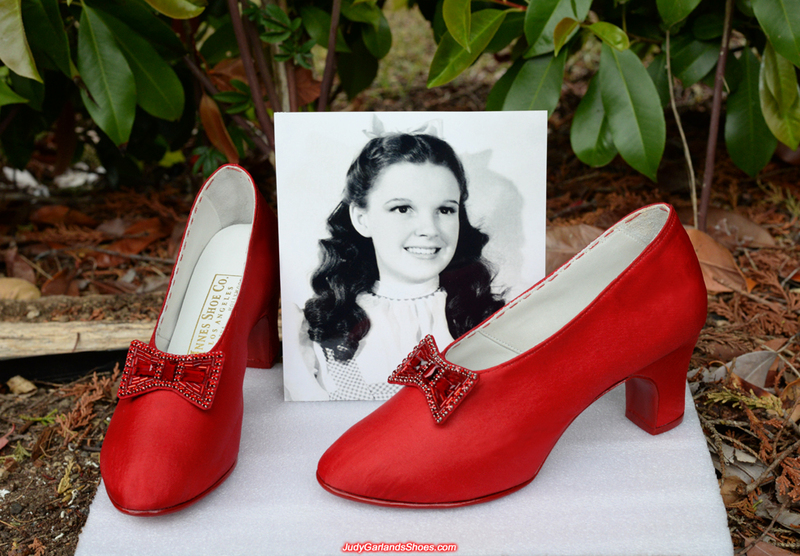 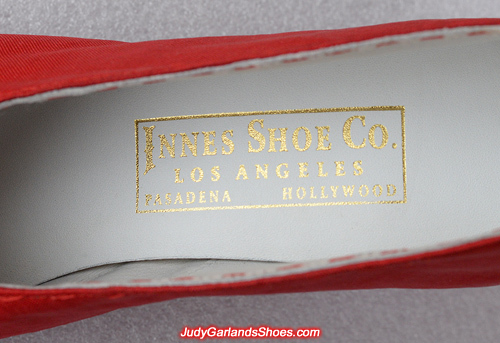 This particular ruby slippers that the young American actress wore contained "#7 Judy Garland" and a golden embossed label heat stamped on the right insole reading "Innes Shoe Co., Los Angeles, Pasadena, Hollywood." 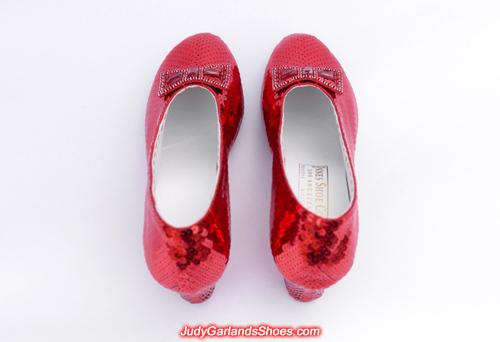 Everything on our shoes is made from scratch including the wooden heels which was built on the original ruby slippers. 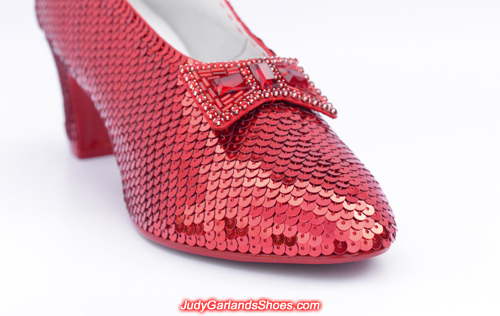 We won't begin sequining this beautiful pair of shoes until early November. 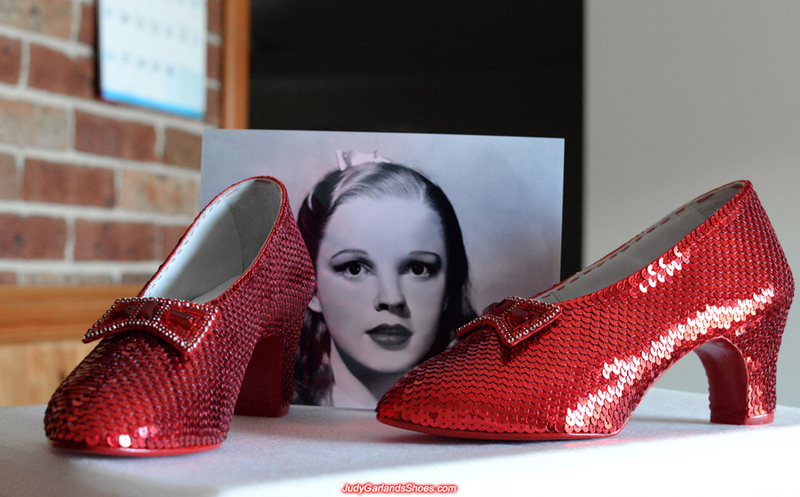 You're making newer versions of the slippers. 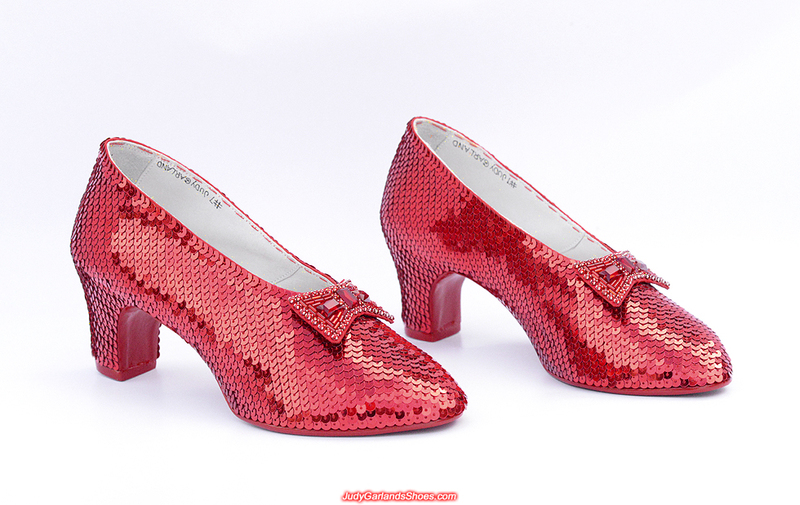 Sequining has finished on the right shoe and the bow has been attached. Exquisite craftmanship at the halfway mark of our project. 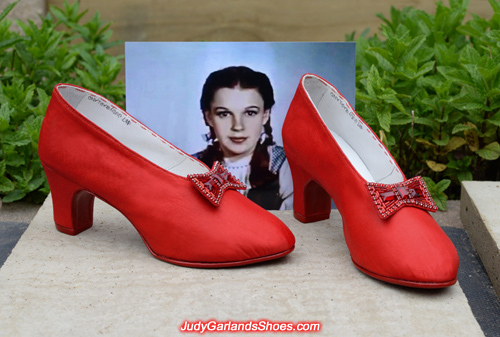 The most beautiful pair of shoes worn by the most beautiful actress in movie history is finished. The final photos of this stunning pair of hand-sewn ruby slippers crafted in November, 2017 will be posted soon. 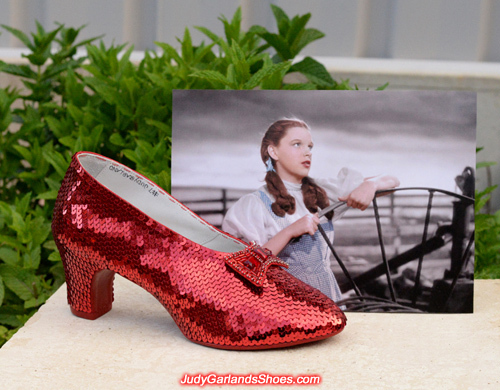 Incredible detail and craftsmanship behind a beautiful pair of hand-sewn ruby slippers.